Check 7 Petits Mots Daily Puzzle solutions with clues below. Solutions are given in blue color and clues are in red colored text. 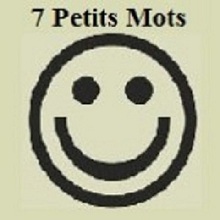 To check more previous answers of 7 Petits Mots Puzzles click here. 7 Petits Mots January 17th 2019 answers are given below.